Robert Evans' The Kid Stays in the Picture is universally recognized as the greatest, most outrageous, and most unforgettable show business memoir ever written. The basis of an award-winning documentary film, it remains the gold standard of Hollywood storytelling. 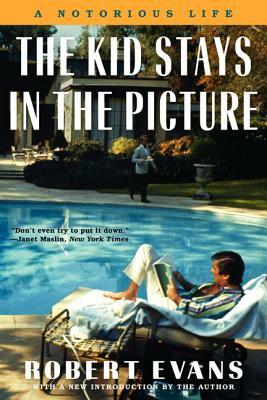 With black-and-white photographs from the author's archive and a new introduction by the legendary actor, producer, and Hollywood studio chief Robert Evans, The Kid Stays in the Picture is driven by a voice as charming and irresistible as any great novel. Robert Evans, the former chief of Paramount Studios, produced many of the most acclaimed and successful films of all time, including The Godfather, Chinatown, Rosemary's Baby, Love Story, Marathon Man, and Urban Cowboy. He lives in Beverly Hills, California.